The wireless smart collar can also send alerts about potential problems and help with early detection of diseases and behavioural problems, the company said. "This is a product that is going to revolutionise veterinary medicine, as well as enhancing a pet owner's ability to recognize that their pet is becoming ill before they start showing physical signs," Dr. Teresa Lightfoot, director of BluePearl Science, said in a statement. The smart collar not only tracks vital signs, but how much time a dog spends in a particular position. 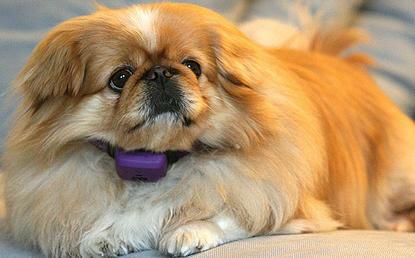 The smart collar and monitoring service subscription retails for $US150. There is also a $US180 annual service fee. There is a separate fee for veterinarians to establish a business service for clients. In addition to the early detection of health issues, the device can also watch pets with existing health problems, or those at risk of developing diseases. The cloud service can evaluate a condition, such as diabetes or congestive heart failure, as well as progress and response to treatment.